SHIMANO (Singapore) Pte Ltd partnered with Loving Heart Multi-Service Centre (Jurong) and Fuhua Secondary School in October 2012 to promote family bonding through fishing. On 17th October 2012, Shimano Corporate Social Responsibility (CSR) Project Manager Mr Ong San Cheng handed a fishing rod to the Fuhua Secondary School Vice-Principal Mr Quah Siew Kin to mark the launch of the programme. Student participants from Fuhua Secondary School attended four lessons conducted by SHIMANO trainers where they were taught fishing safety tips as well as how to handle a fishing rod correctly. The programme culminated in a Family Bonding Fishing Event held at Punggol Pond on 10 November 2012. 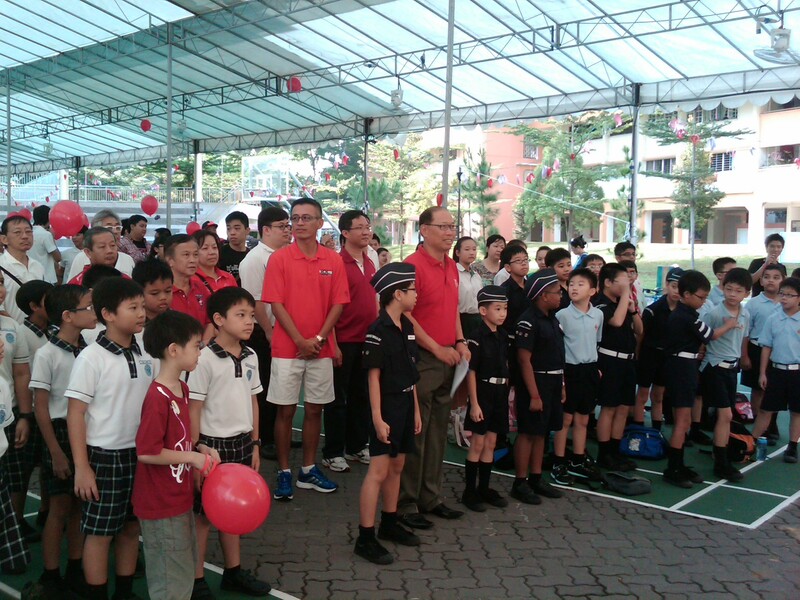 Guest-of-Honour, Mr Desmond Lee, MP for Jurong GRC, launched the event by casting the first line. The students and their family put their newfound fishing skills to good use, landing an average of 4 fishes per family. All students were awarded with certificates of participation and given Shimano fishing rods, shoulder bags and goodie bags. Each family was also presented with $100 NTUC Fairprice voucher. The event and prizes were sponsored by Shimano. The Makino Asia Pte Ltd Charity Drive was held on 25 August 2012 at the open area between Block 312 and Block 316 Jurong East Street 32. As part of their Social Corporate Responsibility project, Makino Asia Pte Ltd distributed food hampers to 60 needy families under the care of Loving Heart, Jurong Central Comcare and Jurong Spring Comcare. The Guest-of-Honour Mr Desmond Lee, MP for Jurong GRC, arrived at Loving Heart's Youth Centre at 8.30am to help the 40 staff from Makino Asia Pte Ltd with the packing of the food hampers. A tea reception was also hosted for all the beneficiaries and their family members to allow the staff and management from Makino to get to know the beneficiaries and understand their needs better. Makino Asia Pte Ltd is the Corporate Sponsor of Loving Heart. Organised by Ngee Ann Polytechnic School of Business & Accountancy, Walk With Me is a charity walk held in conjunction with Bukit Batok Constituency's National Day Observance Ceremony to help the less fortunate children in Singapore. Children from Loving Heart's Free Tuition programme participated in the charity walk and were treated by the organiser's to a morning of fun and games at the carnival. Loving Heart is proud to be the sole beneficiary of Walk With Me 2012. 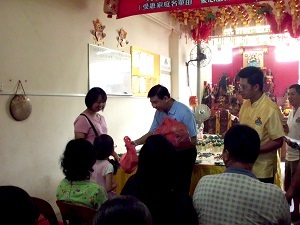 A small tea reception was held in which Mr Ang Wei Neng, MP for Jurong GRC, was the Guest-of-Honour. Food hampers consisting of $20 worth of food items and $30 NTUC Fairprice vouchers were distributed to the beneficiaries. 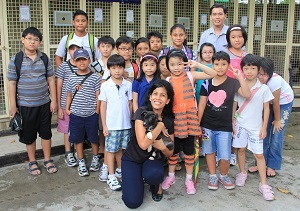 18 children from Loving Heart's Free Tuition programme visited the Society for the Prevention of Cruelty to Animals (SPCA) on 21 November 2012. 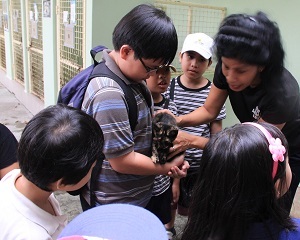 There, they were welcomed by SPCA Education Executive Ms Selina Sebastian who led them on a tour of the premises and introduced them to the work SPCA does in both promoting kindness and preventing cruelty to animals in Singapore. The children also got to spend some quality time with the more furry residents of the animal shelter with pets and cuddles galore. By the end of the visit, the children understood what it meant to be a responsible pet owner and how they can help the SPCA in their work. Food and transportation for the visit were kindly sponsored by Mr Lee Seng Tiong. On 1 Sep 2012, Loving Heart held an Open House in conjunction with the President's Challenge 2012 Volunteer Drive - Volunteerism (NPO Open House). The Volunteer Drive aimed to encourage more involvement in the community, promote volunteerism as a way of life, and create awareness of the work done by non-profit organisations and the volunteering opportunities available. Members of the public attended a short presentation on the organisation and actively engaged our staff in a question-and-answer session. The session ended with a short visit to the Free Tuition class held at our Youth Centre. As part of an exchange programme, 23 delegates from Beijing embarked on a visitation of various organisations in Singapore. On 2 August 2012, the National Community Leadership Institute (NACLI) arranged for the Beijing delegate to visit with Loving Heart. Led by Mr Giam Eng Leng, Senior Lecturer at NACLI, the Beijing delegates were given a presentation on Loving Heart and our programmes. They were also given the opportunity to visit the Free Traditional Chinese Medicine Clinic held at Block 312 and actively participated in the dialogue session with Loving Heart staff. As part of their Corporate Social Responsibility project, MINDEF Defence Management Group, Community Preserving and Loving (PAL), conducted a Food Donation Drive on 26 July 2012 at our Centre. Led by the Community Adviser, Mr Hui Choon Kuen, Director of Legal Services, the participating officers distributed food hampers to 30 needy families selected from Loving Heart's case management database. Jurong Lake Run 2012 commenced with the flag-off of the first Competitive Category at 0730am and ended off with a concert performance at 1100am. The running route took the participants through the stunning views and cultural heritage. A carnival was organized at the end of the race within the premises of Chinese Garden with lucky draw prizes, games and sports bazaar. Loving Heart Multi-Service Centre (Jurong Central) has been adopted by Jurong Lake Run 2012 as one of the seven beneficiaries.